You are here: Home / Puppy Care / Bundles of joy– Welcome! ‘Canine Gestation Care’ is quite a tricky area and many pet parents are not aware of the dos and don’ts pertaining to the same. A lot of myths and lack of proper knowledge can make a pet parent go completely wrong. Here’s how to make this time easier for your expecting dog. It’s an amazing experience to see your dog deliver a litter of cute tailwaggers…but a pregnant dog requires a lot of care and attention and there is just no scope for negligence. To make things easier for all you pet parents wanting to see a healthy litter springing into action, here’s how to take care of the expecting mother. Just because mating has taken place does not mean that your pet dog is pregnant. Mating may or may not be successful so it’s always wise to confirm with the help of an ultrasound around the 30th day post mating. The female dog till then may act completely normal but with the onset of the second month, she starts demanding more food and increase in appetite is a good sign of knowing that she has conceived successfully. Also as the gestation proceeds, you will see abdominal enlargement along with the mammary glands becoming fuller and slightly bigger. Considering the extreme variation from case to case, the Canine Gestation Period may last for anything between 57 to 69 days post mating, the average being 61 to 63 days. The last 20 days can be very demanding as pet parent needs to take special care of the diet and overall well being of the pregnant dog. You may continue with regular food for the first 30 days but special nutritional requirements have to be met in the following 30 days. A diet high in protein and calcium is ideal for foetal growth. It’s a better option to get packaged kibble meant for gestation rather than experimenting with homemade food formulation as you may not get the proportions right. If gestational diets are not available, you may pick up kibble meant for puppies as puppy food is high in protein and calcium too. The last 20 days are the most important as foetal growth is very fast during this stage and any nutritional deficiency can interfere with the normal growth and development of the pups. At any point of time, do not force feed as the dog may have reduced capacity towards the end due to intestinal compression. Feeding smaller and frequent meals is ideal for the latter part of the pregnancy period. The pet must carry on with her regular walks, however, during the last 15 to 20 days of gestation, you must make sure that she doesn’t overexert herself. Playing with Frisbees or jumping on couches can lead to complications. ultrasound helps in making sure that the bone formation of the pups is complete and there are no skeletal abnormalities. However, the ultrasound done on the 30th day gives a better idea of the litter size as the accuracy of gauging the number of pups is higher during early-to-mid gestation and lower towards the latter end of the pregnancy period. Checking the heart beats is another way of ensuring that the pups are in good health. Post 57th day, you must check her temperature regularly as the rectal temperature falls below 99oF when she is ready to deliver. The milk glands get filled about a week prior to whelping and the female dog usually starts digging into the floor or bed to seek a safe environment for the pups to arrive. A yellow vaginal discharge is often seen around this period which is absolutely normal. Any discharge that is green, red or brown in colour should be reported to your vet. You can also ask your vet to teach you to monitor the movements of the puppies so if you suspect anything abnormal you can immediately seek medical help. Whelping is different in each case. Some female dogs do it all by themselves in the middle of the night for the pet parents to see a clean and calm litter when they wake up the next morning while a few female dogs go into labour pains and often seek attention and help from their pet parents. A few of them use their natural instincts and manage it all very smoothly while a few may just look too baffled and in such cases the pet parents must know what needs to be done. Keep your vet posted and carefully make your list of questions understanding what needs to be done when. You can watch out shivering or even vomiting due to anxiety. The uterus starts to contract and the cervix begins to dilate. As the pups begin to come out, pet parents should ideally just watch from a distance as the mother dog may get more anxious seeing too many people around. The mother herself manages to break open the amniotic membrane which is a thin sac enveloping each pup. If she snips the umbilical cord herself, let her do so. If she can’t manage to do it, you may help her by snipping the cord with a sterilised blade. Do not forget to tie a knot before cutting it off. 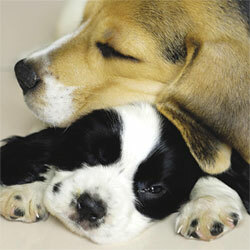 Clean the pups thoroughly with a towel and massage their backs to allow blood circulation. Clean the nasal discharge which may obstruct their breathing and then allow the pups to suckle on the mother for their first feeding. The mother will instinctively consume all the amniotic membranes and placentas herself but if she is not doing so, do not force her to have them as too much of placenta consumption can cause diarrhoea. Whelping is a very tiring process and the mother dog may take brief breaks to rest. If the gap between whelping two pups is more than two hours, you need to call your vet. Just like human pregnancy, canine gestation too can pose complications which is why you must know exactly when to call the vet for medical help. A very common syndrome is ‘uterine inertia’ wherein the cervix doesn’t dilate sufficiently making it difficult to expel the pups out. This is more common in small breeds with a small litter size of one or two pups. In such cases, it is advisable to have your vet around at the time of whelping. ‘Foetal Resorption’ is another complication that could arise wherein the foetus technically gets reabsorbed into the body almost making it look like the pups vanished overnight. This syndrome is linked to infertility in some dogs. Once the pups are out, the mother may act quite unpredictable in some cases. At times they become too possessive of their pups and in such cases, pet parents must let the mother handle her puppies. A few mother dogs refuse to feed their pups so you as a responsible pet parent must make sure that the pups are fed in time. This can be done by holding each pup manually close to the mammary glands of the mother and help them suckle. Puppies can’t regulate their temperature so it’s important to keep them in a warm environment to avoid hypothermia which could be fatal. Also watch out for ‘Fading Puppy Syndrome’ which is rare but quite disastrous, wherein the milk of the lactating mother gets infected and ends up poisoning the pups. Most importantly, do not administer any drugs to pregnant or lactating dogs without consulting your vet. Deworming tablets, vaccinations and all other drugs could be injurious to their health and could also lead to abortion or birth defects. It’s indeed an amazing experience to watch your pet become a mother, but you as a responsible pet parent must provide her with a conducive environment and emotional support to help her take care of the little ones. 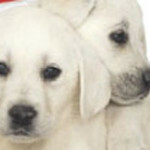 You may start weaning the pups slowly by the 4th week. You must remember that mother’s milk is extremely rich in antibodies, hence a good duration of natural feeding would equate to life-long immunity for the pups who are all set to live a happy and healthy life ahead. 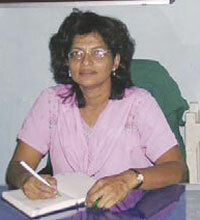 (With inputs from Dr Sarita Gulavane, Assistant Professor, Department of Gynecology, Bombay Veterinary College, Mumbai. She has been practicing specialisation in small animal reproduction and ultrasonography over the last 20 years). http://www.dogsandpupsmagazine.com/wp-content/uploads/2011/11/0051.jpg 134 250 Dogs and pups Magazine http://www.dogsandpupsmagazine.com/wp-content/uploads/2017/05/1254nal.jpg Dogs and pups Magazine2011-11-16 07:01:482013-12-20 12:43:47Bundles of joy– Welcome! White as snow! How the right diet can get life off to a good start….